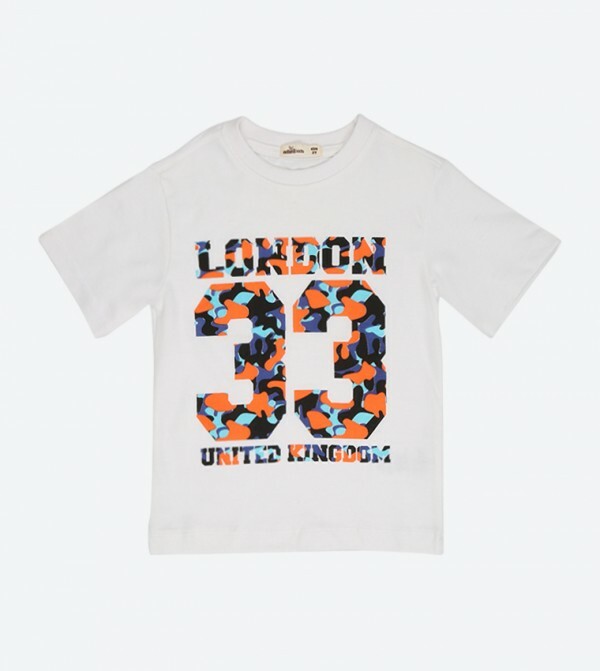 Designed to smarten up your little champ's casual look is this white colored T-shirt from Adams Kids. Styled with trendy print on the front, this round neck T-shirt is a true value for money. The cotton fabric makes this regular fit T-shirt soft against the skin and comfortable to wear all day long.